Welcome to the Wholesale Sock Deals boy’s swimwear range. Here you will find an amazing collection of inexpensive, high-quality wholesale boy’s swimwear at unbeatable wholesale prices. As soon as the weather warms up, the kids are going to want to go out in the sun and have some fun in the water. So, if you have a children’s clothing store, discount store or a fashion retail store, you’d better stock up on wholesale children's swimwear now! Wholesale Sock Deals is one of the top wholesale swimwear distributors on the web. We have the lowest wholesale prices on boy’s swimwear and bulk boy shorts. In fact, we offer the biggest wholesale discounts on a wide range of wholesale children’s clothing in bulk, including wholesale boys dress shirts and children's boutique swimwear wholesale. Our range of wholesale boy’s swimwear contains nothing but top-quality boy’s swim shorts. When you buy boy’s summer apparel from our children’s wholesale warehouse, you are guaranteed to get great quality clothing at low wholesale prices. Wholesale Sock Deals is the best place to do all your wholesale buying. Low-cost boy’s swimwear is only one item that you can save money on here. All our bulk clothing and bulk boy’s swimwear is available at massive bulk discounts. Don’t go looking for better prices on boy’s summer shorts at any other swimwear wholesale suppliers, because you won’t find them. 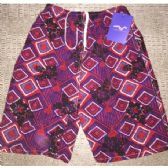 We are the cheapest of all the wholesale online stores for wholesale shopping online for boy’s summer shorts, board shorts and swim shorts. Buy all your boy clothing wholesale online at Wholesale Sock Deals and you will save money on all your bulk boys pants and bulk boys swimwear purchases. Order your wholesale boys swimwear now and start saving money with Wholesale Sock Deals! If you want to buy clothing wholesale and you have been looking for reliable wholesale swimwear distributors, Wholesale Sock Deals is the best of the swimwear wholesale suppliers on the web. We have the cheapest wholesale boy’s swimwear that you will find anywhere! From children's boutique swimwear wholesale, to bulk boy shorts and wholesale boys dress shirts, the best quality boy’s apparel is right here at Wholesale Sock Deals. We always have the biggest discounts on wholesale boy’s swimwear and wholesale children’s clothing in bulk. Our children’s wholesale warehouse is packed full of great deals on boy’s swimwear. Our range of wholesale children's swimwear is second to none! Why waste time looking for other wholesale online stores when you can do all your wholesale shopping online right here! Wholesale boy’s swim shorts and summer shorts are just two of the boy’s apparel items that you can save money on at Wholesale Sock Deals. When you are wholesale buying children’s clothes for your fashion store, children’s clothing store or discount store, you get big discounts on boy’s swimming shorts and on all your bulk clothing purchases here. We deliver all our wholesale clothing orders for free. 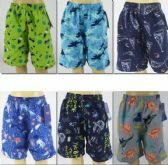 Whether you buy one case of wholesale boy’s summer shorts, or fifteen cases of assorted boy’s swimwear and bulk boys pants, we deliver your order to your door free of charge. Don’t wait any longer to start saving money on your wholesale purchases of boy’s summer apparel. Order your cheap wholesale cases of boy’s swimwear now and get a great wholesale bargain on wholesale swimwear for boys today!